Amisy bean sprout machine is new type and full automatic bean sprouts processing equipment which is the modern technology and the traditional process perfect union. Only need 4-5days you can get fresh and juicy bean sprouts without the weather and season influence, it is widely used in medium-size specialized households, dinging room and other units of the seeding vegetable production. 1. Stainless steel frame structure: box body is a thermal insulation, waterproof and rustproof composite color steel plate, the internal frame is stainless steel. 2. 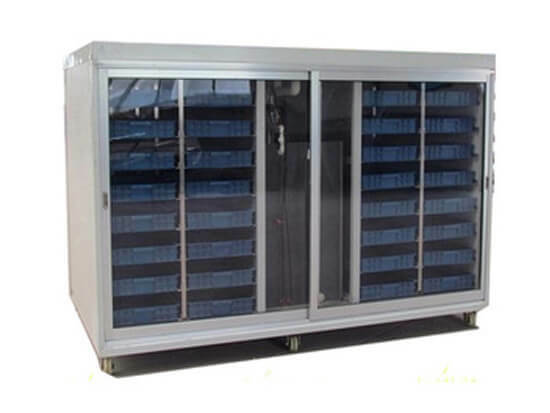 Full-automatic microcomputer controller: temperature display, high-temperature alarm, warming automatically, air circulating, water shortage alarm, automatic adding water, automatic water spraying. 1. High degree automation, low energy consumption, no noise. 2. High-quality product, short production cycle, not affected by weather condition and seasons. 3. Suitable for kinds of bean sprouts processing, reduce the lousy bud phenomenon. 4. Labor-saving, easy operation, high output. 1. Suitable for alfalfa sprouting, corn buds, pea shoots, buckwheat sprouting, barley seeding, wheat sprouting, green bean sprouting, soybean sprouting, turnip sprouting and so on. 2. 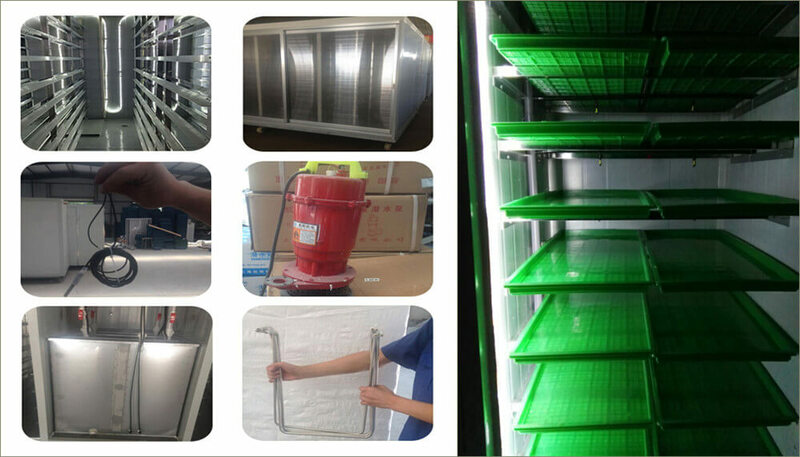 Widely used for sprouting in the factory, school, mess, supermarket, etc. How to Grow Bean Sprouts?